Alvarez pitched last season with the Texas Rangers. 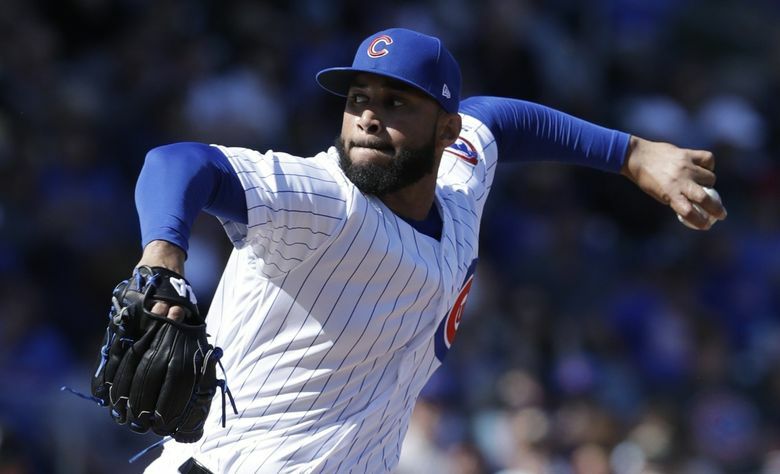 PEORIA, Ariz. — The Mariners picked up some left-handed relief depth on Wednesday, claiming veteran Dario Alvarez off waivers from the Cubs and adding him to their 40-man roster. Alvarez won’t come to big league camp. The plan is to option him to Class AAA Tacoma and have him report to minor league camp on Thursday. Alvarez, 29, made seven appearances with the Cubs this spring, pitching 6 1/3 innings and allowing six runs on seven hits. He spent last season with the Rangers, appearing in 20 games over three separate stints and posting a 2.76 ERA. He held opponents scoreless in 16 of his 20 outings. But he also had 14 walks with 17 strikeouts in 16 1/3 innings pitched. In his MLB career, he’s appeared in 56 games, pitching a total of 48 innings. He’s got a combined 6-1 with a 5.06 ERA. The move was precipitated by the loss of lefty Sam Moll, who was claimed off waivers by the Blue Jays last week. Alvarez has one minor league option left, which also made him attractive to the Mariners. With the addition of Alvarez, Seattle now has two open spots on its 40-man roster. The team announced the signing of reliever Erik Goeddel to a minor league contract. He reported to minor league camp on Wednesday. He was released by the Rangers on Tuesday after making six appearances and pitching 5 2/3 innings, allowing fours runs on seven hits. The Mariners acquired four pitchers from the Royals in a minor league trade. Seattle didn’t have to send much in the way back in return. Much like when they acquired Tony Zych, it was probably for $1. These pitchers weren’t going to be a part of the Royals organization. The Mariners are bringing them to in to see if they can make a minor league team in their system.